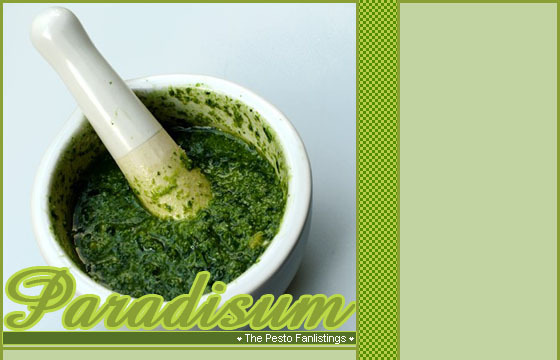 Welcome to Paradisum, the fanlistings Pesto sauce fanlist. � if you have a website, and want me to link you, you need to download a code and link it back to this site. Do NOT directlink!! If you direct link to this site, I will replace your button with an ugly one. If you're having troubles with putting up a code, I'll gladly help you out. All you have to do is ask.